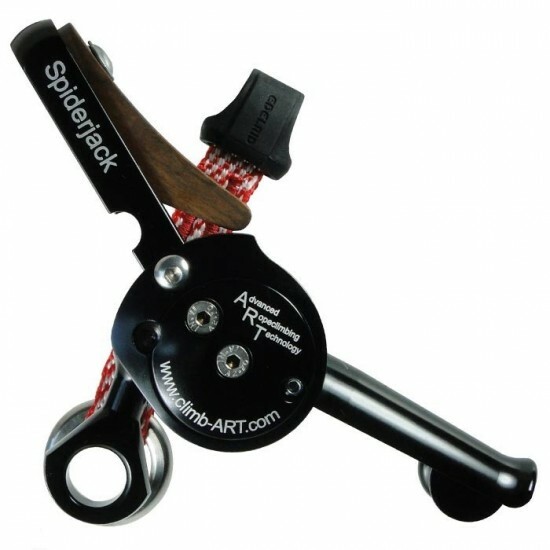 Basic version like Spider Jack 2.1 Basic including mounting set Dyneema. 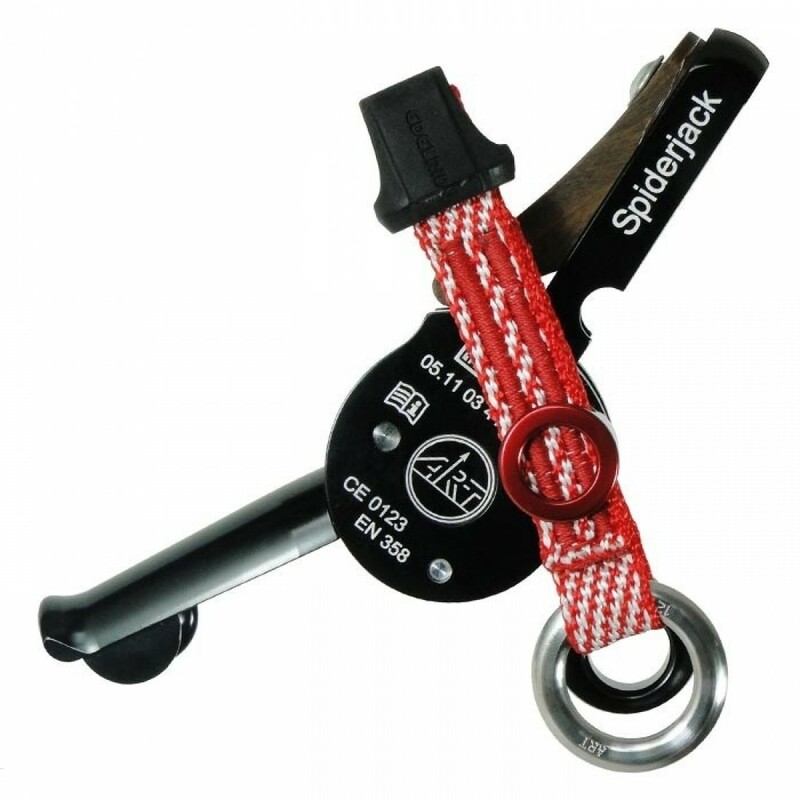 With the fixed to the apparatus body Dyneema sling is a second carabiner for holding the stationary cable eye can use. 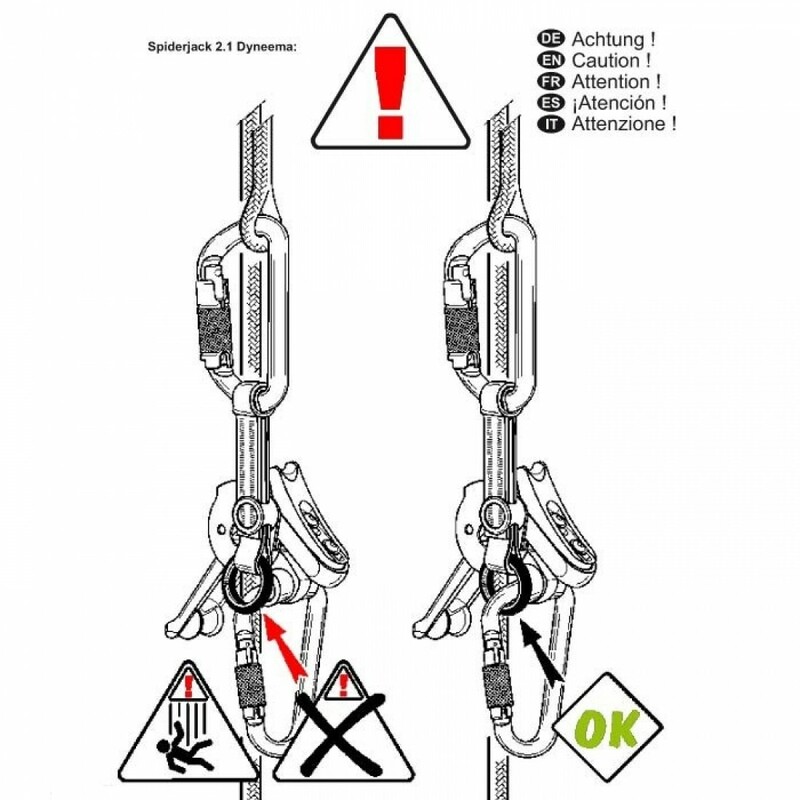 This greatly facilitates the frequent changing of anchor points, for example when changing ascent with two fuses. 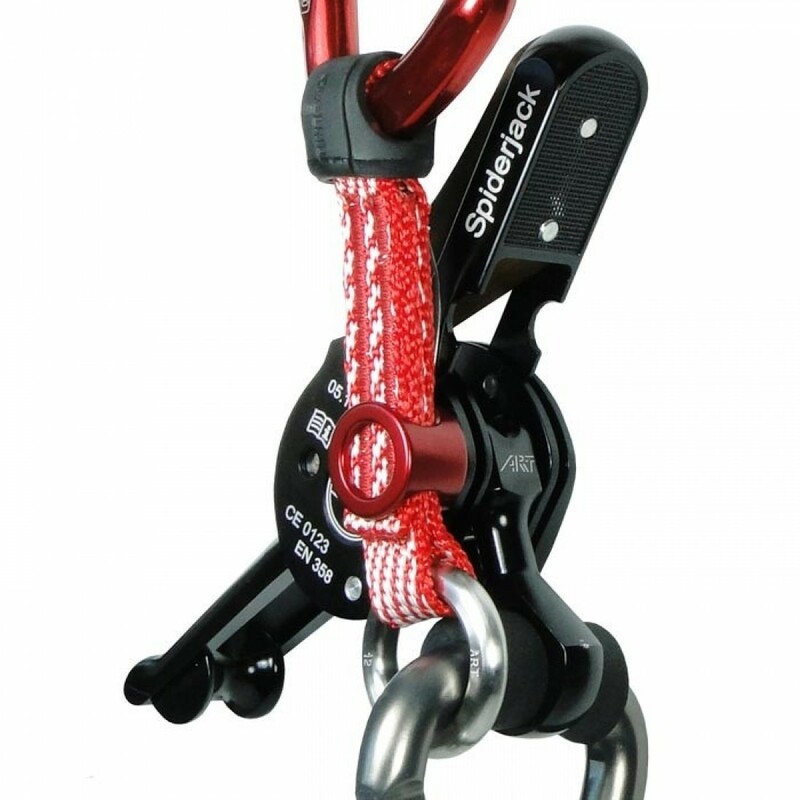 Before climbing absolutely sure that the ring of DyneemaKit is hooked into the carabiner.